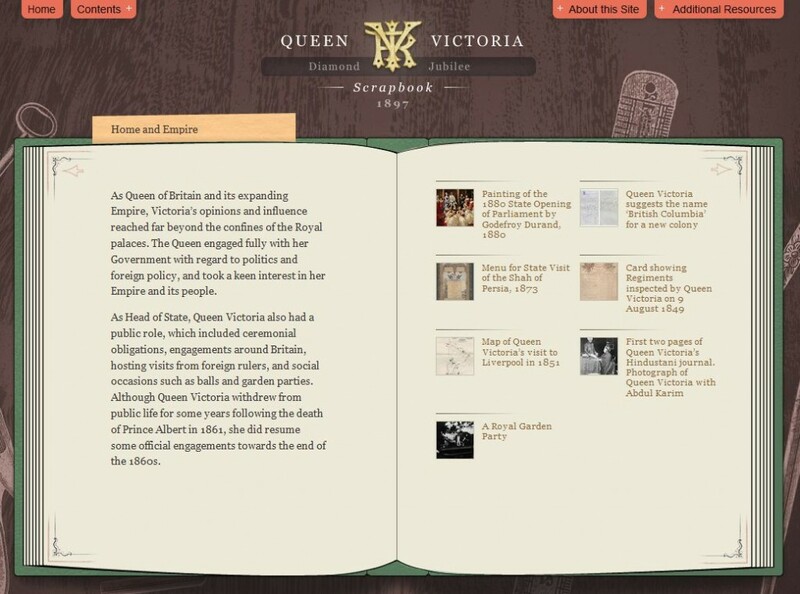 The complete collection of Queen Victoria’s Journals is now available online. Launched on the anniversary of Queen Victoria’s birthday by HM The Queen at Buckingham Palace, the new website is part of a digitisation programme to make historic documents from the Royal Archives widely available for the first time. The journals are fascinating, especially her illustrations of other royalty. Read the full press release. And then there is the Queen Victoria Diamond Jubilee Scrapbook. This online resource gathers together documents, images, and media from archives and collections to provide context to the journals, Queen Victoria, and her Diamond Jubilee in 1897.